On Monday the 13th November the whole school came in wearing odd socks! What a cheerful colourful day that was! 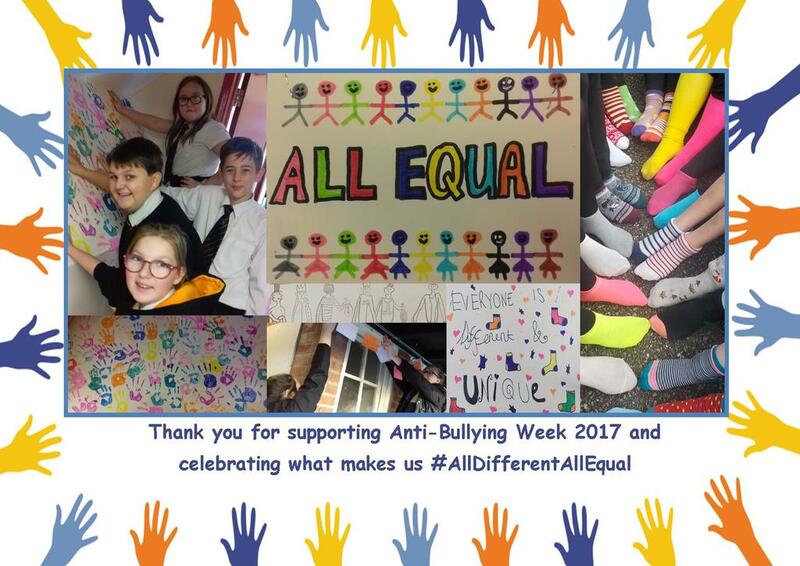 The theme for this year’s Anti Bullying Week was ‘All Different, All Equal’, staff and students across England wore odd socks to show that it is important to be you and to value differences. During the week many pupils created cards to show what ‘All Different, All Equal’ means to them. These cards were then threaded on to string to form a garland and are now hanging around the quad. Also, the week after, students from the Learning Support Department hand printed a section of wall to support the differences and equalities theme. Thank you to every-one who joined in with activities and helped to raise awareness.